Four children describe their house. 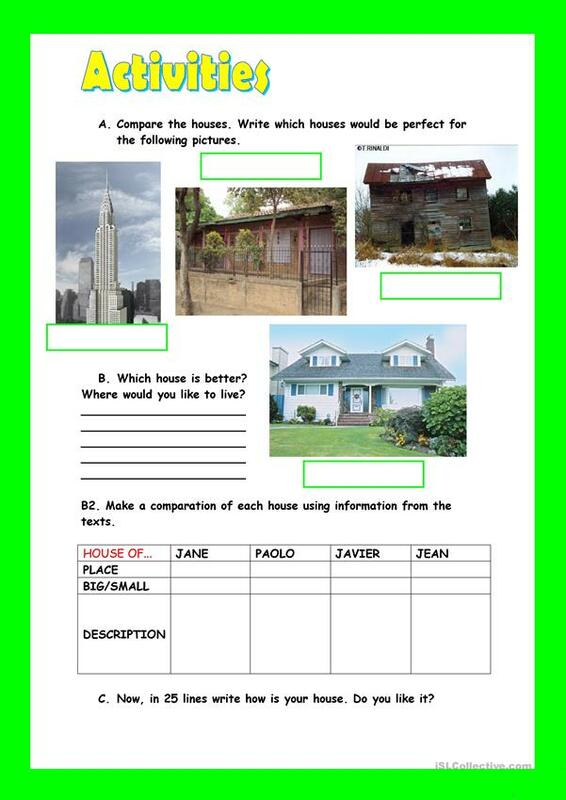 Then, students must answer the questions on next page and compare the houses. 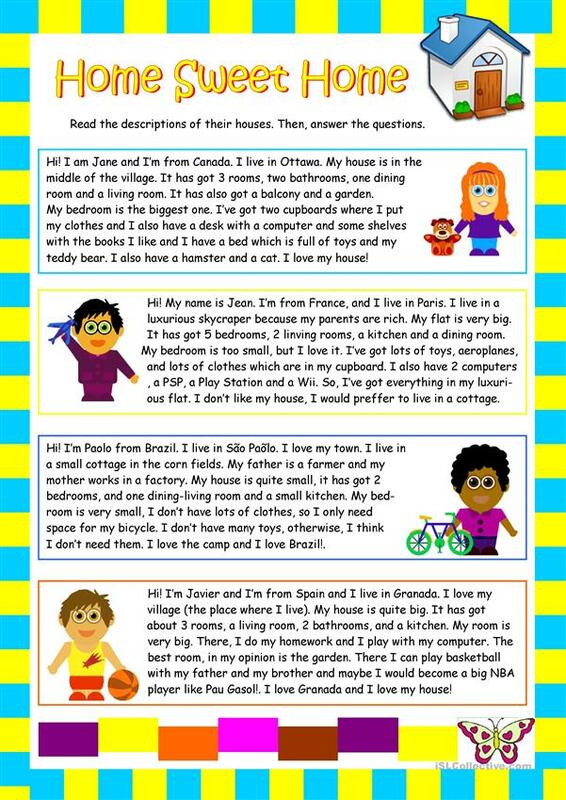 This worksheet is also useful in order to make them think about the different kinds of people and also to think reflexionate about more different/complex things. The above downloadable worksheet is best suited for elementary school students and kindergartners and nursery school students at Beginner (pre-A1) and Elementary (A1) level. It is about the vocabulary topic of Home.